Have you heard any of these three supposed truths about Montessori school? -In Montessori, children are allowed to play all day. -Montessori children are free to do whatever they want. -There are no teachers in Montessori; the children teach themselves. Now there is definitely some truth to each of these statements, but ultimately they are very misleading — and Dr. Maria Montessori herself would be the first to set straight anyone who presented them as true. Claim #1: In Montessori, children are allowed to play all day. Clearly, Dr. Montessori was pretty explicit about not having children play all day. Of course this doesn't mean play is then tossed aside in Montessori schools, for in good programs it is a meaningful part of a child's day. But just like in our own lives as adults, play — such as sports, hobbies, and relaxing with friends — is a type of fun we have in addition to work. In real Montessori schools, as in any productive individual's life, work comes first. And surprising as it can be, in effective Montessori classrooms children love to work — so much that it's possible the idea of "playing all day" originated from such children feeling like they were doing just that in class: playing all day. For instance, here's Nobel prize winner and former Montessori child Gabriel García Márquez reminiscing on his time in Montessori: "It was wonderful to be alive then — studying was like playing." Or take how the inventor Thomas Edison describes Montessori: "It makes learning a pleasure." But children's work being a pleasure or its feeling like play to them is not an end-all goal of Montessori school. There are many, many other benefits of Montessori, one of which is when the children do get outside each day to truly play, they let loose like only contented children can! That's me and a Montessori elementary child doing some real-deal playing outside. The fact is great Montessori schools value both the mind and the body, and they fulfill children's need for a purposeful balance of work and play. Claim #2: Montessori children are free to do whatever they want. If you hear this from a "Montessori" teacher or principal, run. For something is very wrong. Actual Montessori schools are not free-for-alls where children just finger-paint and roam rural forests. Rather they're organized communities that offer a great deal of structure and order for a child, within which he or she can experience true freedom. Dr. Montessori taught that structure and order in the classroom are essential to a child's healthy development. "But," she was quick to add, "beyond the teacher knowing the organization of the work, above all the teacher must respect the liberty of the child." So organization plays a foundational role in Montessori, but only alongside genuine respect for a child's developing autonomy. 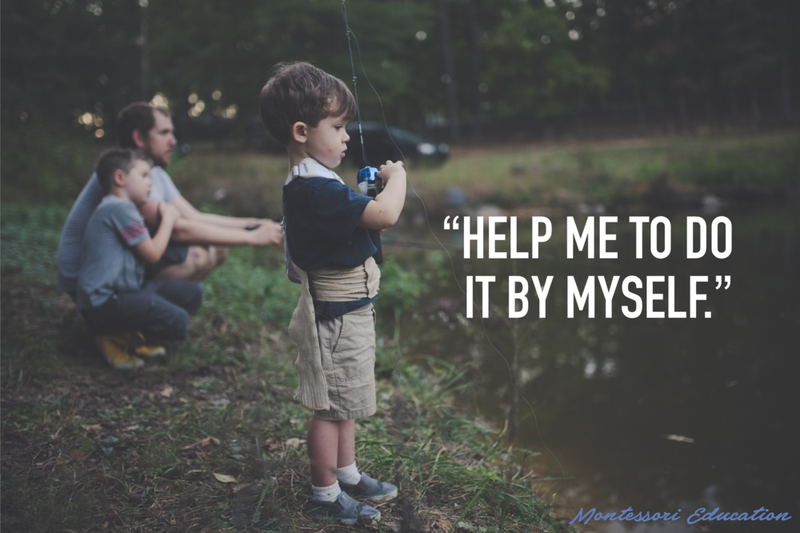 And the latter can be found throughout the work of Dr. Montessori, such as in the classic children's line which she loved to quote: "Help me to do it by myself." Claim #3: There are no teachers in Montessori; the children teach themselves. Again, there is a grain of truth here. 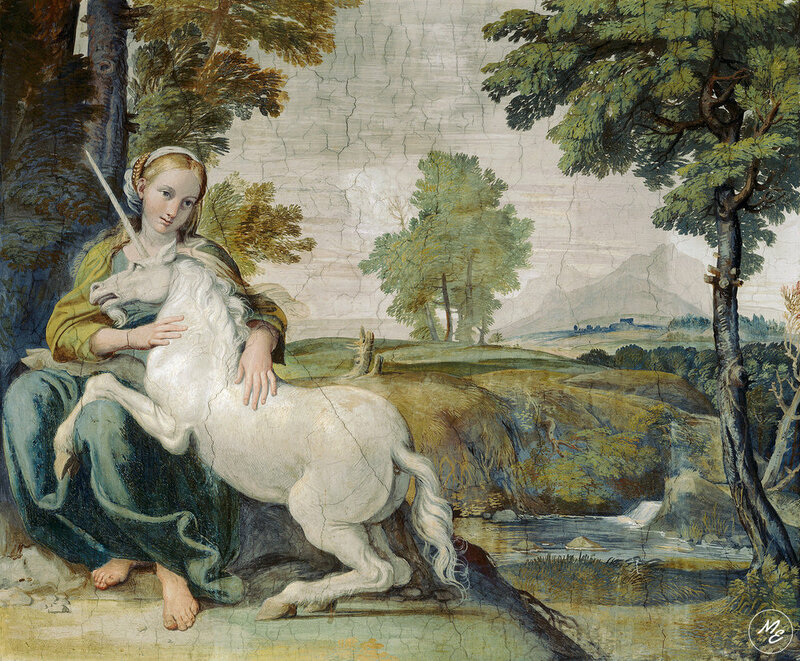 But the idea that children are able to do such work with no adult guidance — to learn math, language, geography, science and more without actual teacher direction — is as mythical as this maiden in the painting below taming a unicorn. In short, for children to successfully learn they need guidance. And this is why in every real Montessori classroom you will find a knowledgeable (and loving) teacher. Sit in a classroom and observe for yourself. In the meantime, if you're curious about what to look for when you arrive, here's a peek into an exceptional Montessori school — which offers children a safe, caring, and beautiful learning environment with that delicate balance between clear structure and genuine choice. Newer PostJeff Bezos of Amazon just gave $1 billion to "Montessori-inspired" preschools. Now what is Montessori?